Course Website: Official Website - Visit Dundonald Links's official website by clicking on the link provided. Accolades: Ranked 11th in Scotland by Golf Course Gurus. 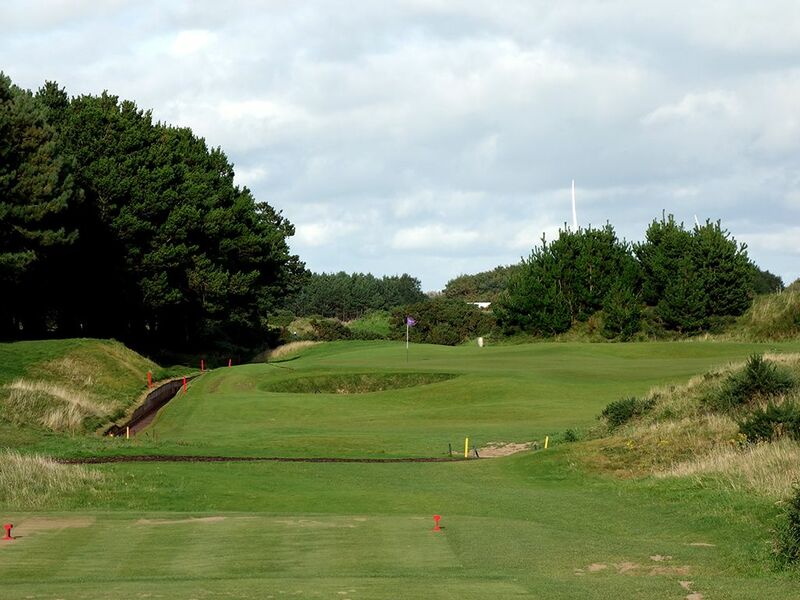 What to Expect: Dundonald isn't near as well known as other courses in Scotland, but don't let that fool you. 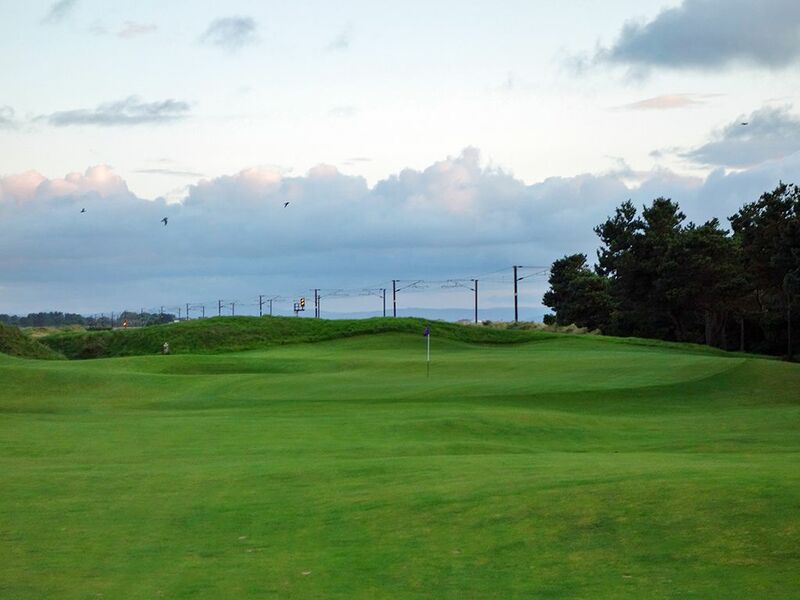 Located next to Western Gailes and Gailes Links, Dundonald (formerly known as Southern Gailes) enjoys great links land a handful of miles up the road from Royal Troon and Prestwick. The course was purchased by Loch Lomond Golf Club and acts as a sister course for members to enjoy when Loch Lomond's weather and conditions aren't conducive to golfing in the heavily forested Scottish Highlands location that Tom Weiskopf's flagship design resides in. Kyle Phillips did a great job with the routing at Dundonald by mixing up hole directions, lengths, and features. Perhaps the feature that will stand out the most to golfers are the impressive greens and with sizeable undulations and a ton of surface to navigate. The wide fairways and large greens offer a more player friendly experience while still being able to deliver a stern test as Rory McIlroy found after missing the cut at the 2017 Scottish Open. The pin placements significantly dictate the level of difficulty each day which is a great feature at a course that wants to appeal to a general membership as well as host professional tournaments. Unlike some of the other Scottish courses, the rough is not long at Dundonald which helps with pace of play and overall enjoyment. The course is kept in great shape with the greens rolling pure which is a necessary element with the undulations you'll contend with. 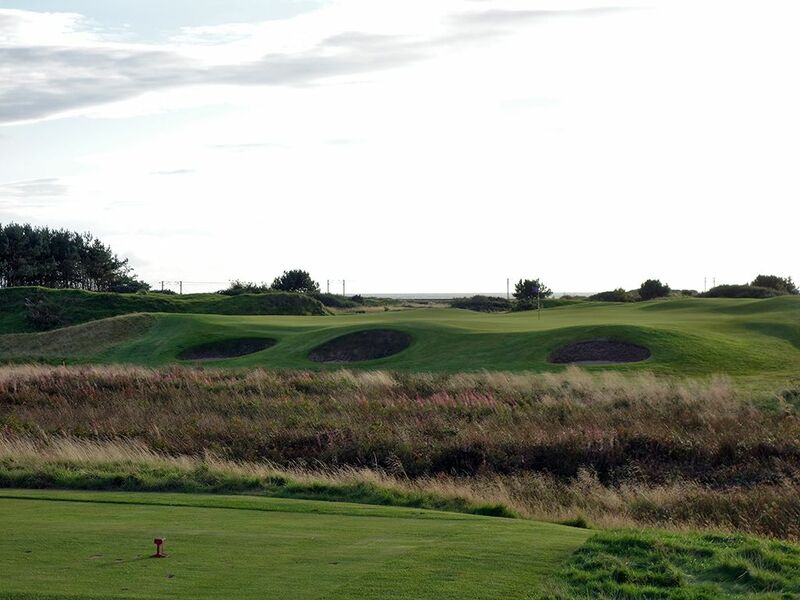 While Dundonald won't wow you with ocean views, stunning elevations, or signature level holes, it does deliver one solid hole after another and is the kind of course you would be pleased to play each time around. As a side note there are carts/buggies available at the course, a rarity in Scotland, but walking with caddies is encouraged. Signature Hole: 11th Hole – 120 Yard Par 3 – The shortest hole on the course is also its most memorable. Just a wedge away, the green is fronted by three bunkers as well as requiring players to carry the heavy foliage area pinched between the tee and bunkers. While the sloping edges of the greens and large bunkers are the obvious perils to avoid, the hidden bunker behind the green is one of the nastiest bunkers I've ever encountered. Caddies are quick to point out the parallels between it and the famous pot bunker on Pine Valley's 10th hole. Getting in this sandy death trap may result in a player taking an unplayable lie just to get out. Best Par 3: 6th Hole – 170 Yards – The 6th is sneaky difficult. While the main hazard to be concerned with is clearly the water ditch that cuts across the hole and along the left side of the green, there is more to consider. The wind will often be coming in from the player's right which is partially shielded by the mounding that frames that side. The are bunkers short left and long right to consider which are easier to find than one might expect. With the prevailing wind coming in from the right and the most safety being on the right half of the green, the line is clear. That being said, a well struct ball at the right half that bores through the wind can carry deep and end in the bunker while a weakly struck shot at the right side can balloon and be pushed short and left which would again result in a sandy grave. With challenging undulations to contend with one your find the putting surface, this is a more difficult 170 yards to conquer than meets the eye. Best Par 4: 13th Hole – 410 Yards – The unique feature that makes the 13th standout is the train rail that runs along the left side of the hole. With a natural desire to avoid the left side, players will find themselves aiming down the right which will bring the lone fairway bunker into play. On the approach shot golfers need to be mindful of the three bunkers positioned around the two-tiered green as well as the ditch that fronts the putting surface. Give yourself a pat on the back if you walk away with a par here. 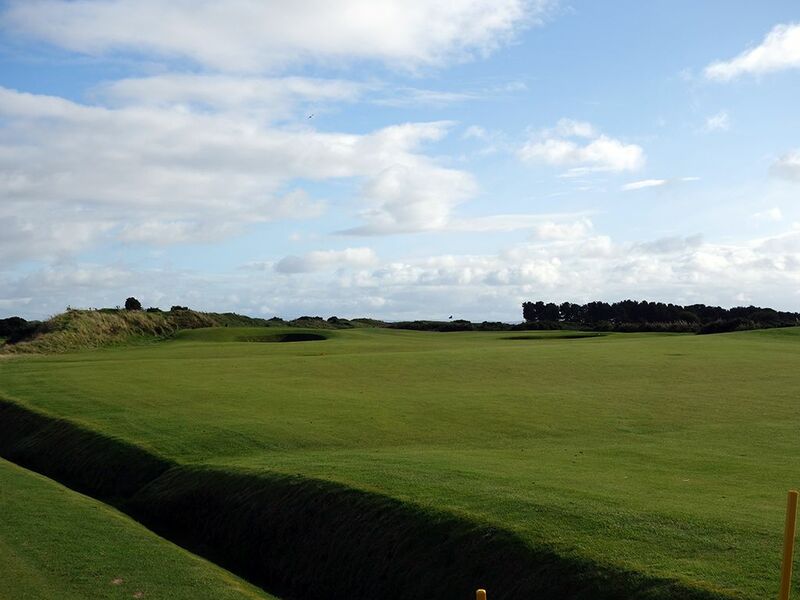 Best Par 5: 3rd Hole – 540 Yards – The first par five at Dundonald is also its best. A ditch is in play for much of the hole with it starting on the right and slowing crossing the fairway to the left side over a 300 yard stretch. Most players will cross the ditch on their second shot whether they are taking a rip at reaching the green in two or simply laying up to the 100 yard spot where the fairway picks up again after the ditch cuts it off. The approach shot plays slightly uphill to a green fronted by a pair of bunkers and protected in the back with a single bunker. 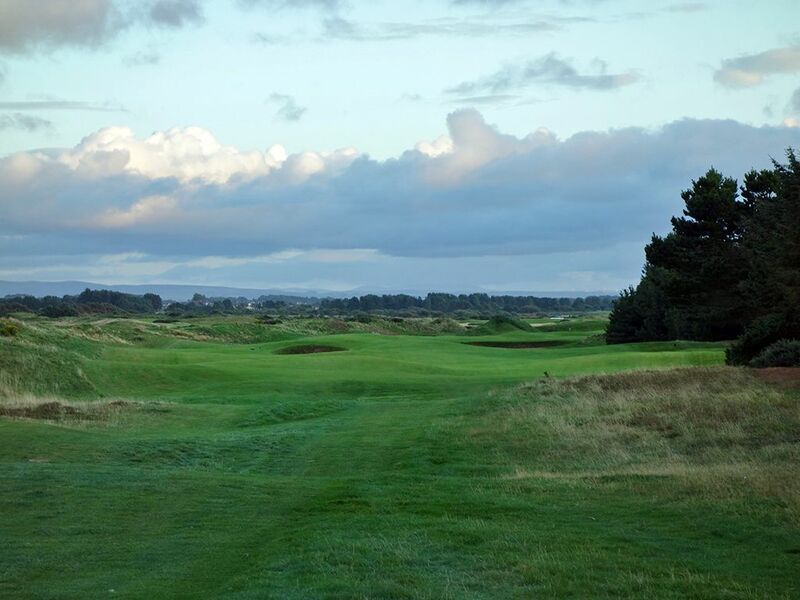 The wide fairway, undulated terrain, and overall expanse of the hole depicts Dundonald well. 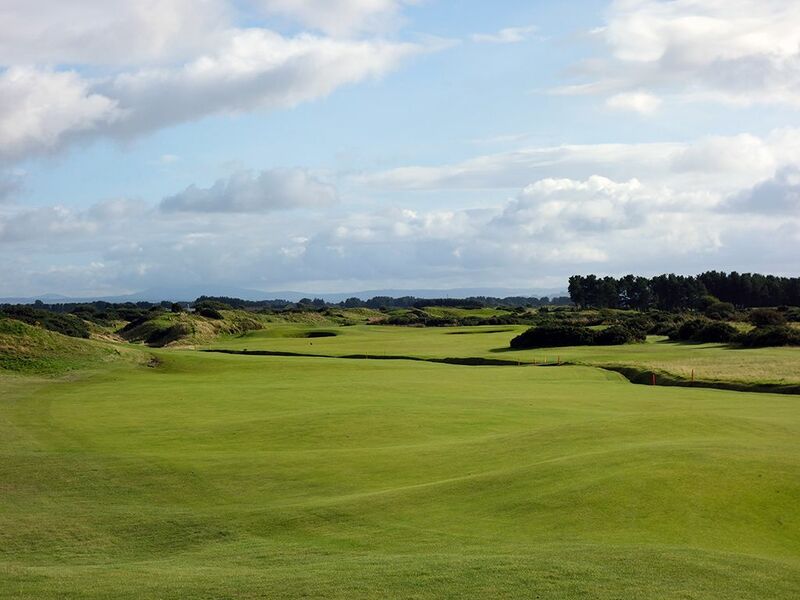 Birdie Time: 12th Hole – 350 Yard Par 4 – The shortest par four at Dundonald is both your best scoring opportunity and arguably its most scenic hole with the Firth of Clyde creating the background. A bomb up the left side will both shorten the hole and create a better angle into the green which makes it the no-brainer approach to take on this hole. 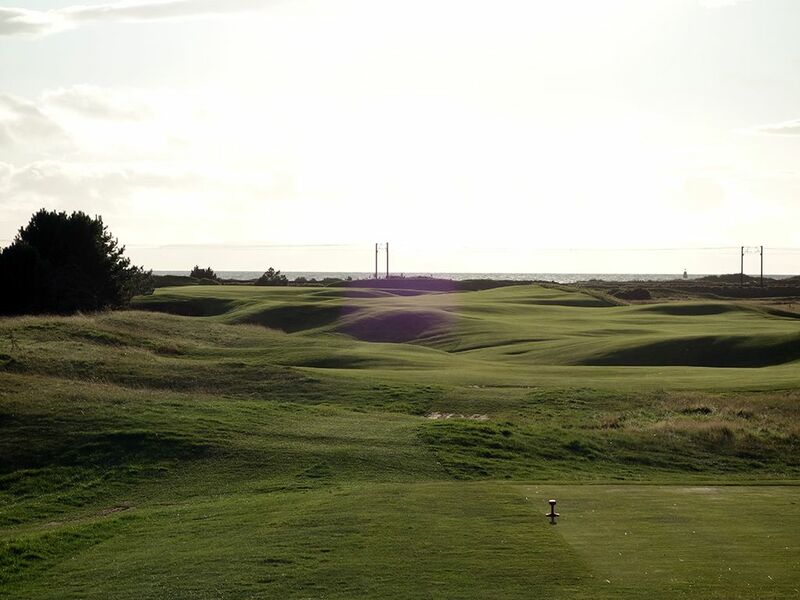 The green is the flattest you'll find on the property which begs you to take advantage of it before the famous undulated greens of Dundonald present themselves again on the remaining holes. With not much yardage to cover and a flat green, you are set up perfectly for a chance to nab a birdie. 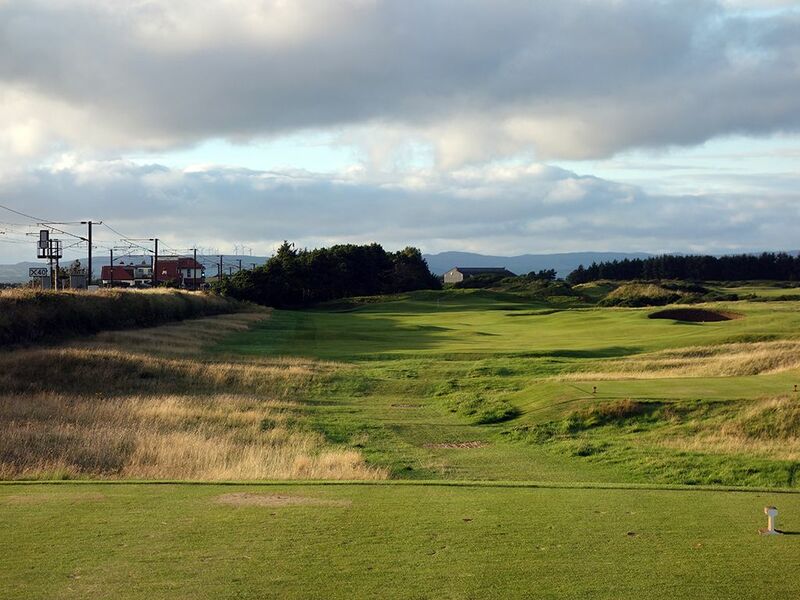 Bogey Beware: 16th Hole – 470 Yard Par 4 – Looking at the scorecard should be intimidating as you consider trying to navigate 470 yards in just four strokes, especially since you know the lack of elevation changes on Dundonald means you are cheating the distance by playing downhill. Well, if 470 yards wasn't bad enough, you find yourself retightening your hat since this hole plays into the prevailing wind. 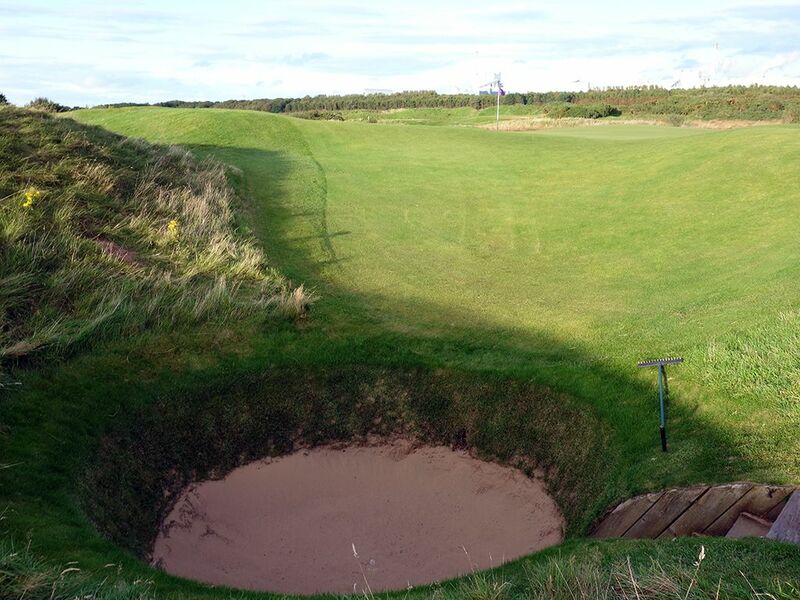 Unlike most holes where playing straight down the middle will conquer most holes, a bunker rests 260 yards out in the middle of the fairway which spells extra trouble. Coming into the green from the left side brings a nasty pot bunker into play which will be extremely difficult to hit from and leave it close to the hole considering the green slopes away from you. For the less bold player, laying up short and right of the green will give you your best chance to avoid bogey by executing a successful up and down effort. This is just a flat out stout hole and the main goal should be taking no worse than bogey.